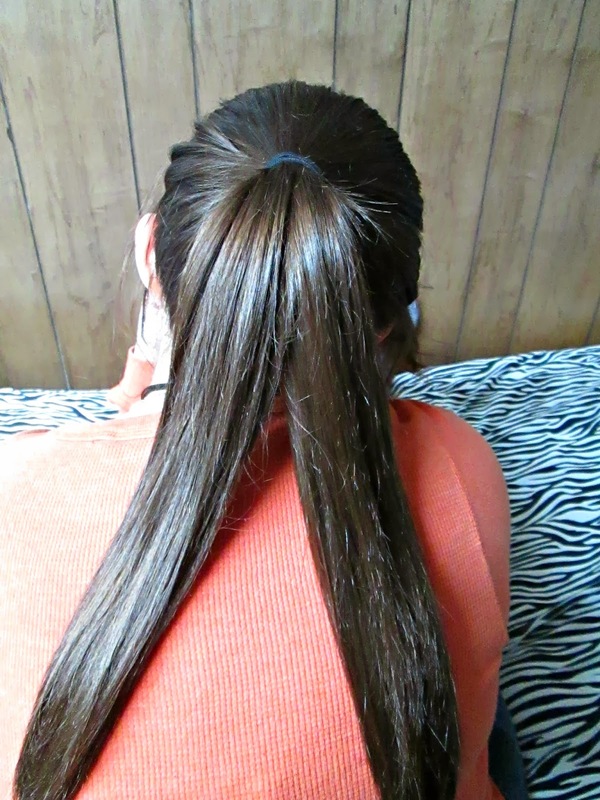 Step 1: Brush your hair and gather it into a ponytail. 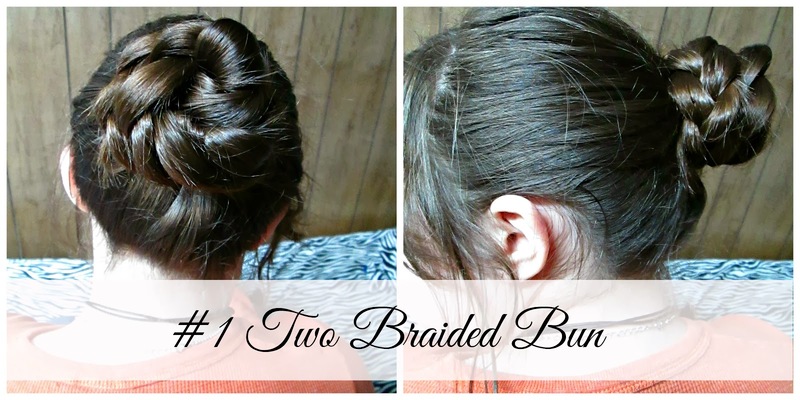 Smooth out any bumps and tie it with a hair band. 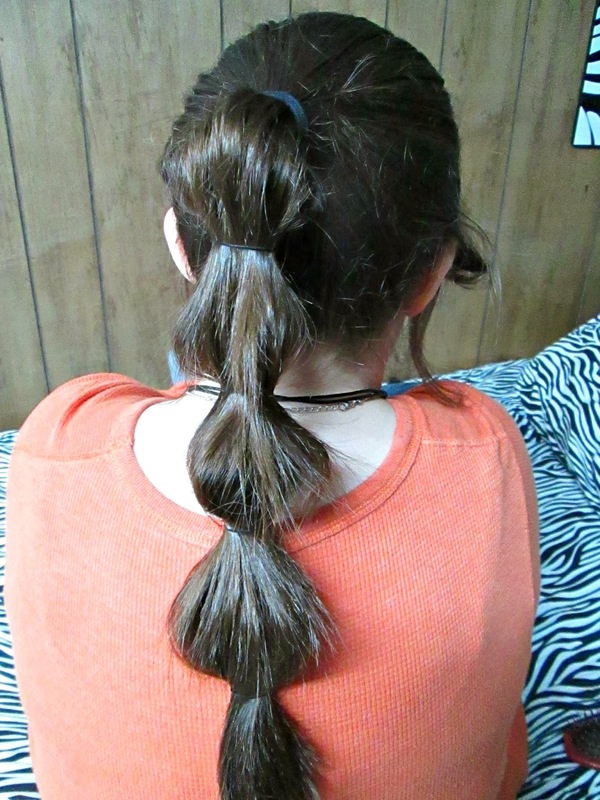 Step 2: Split your pony tail into two sections. 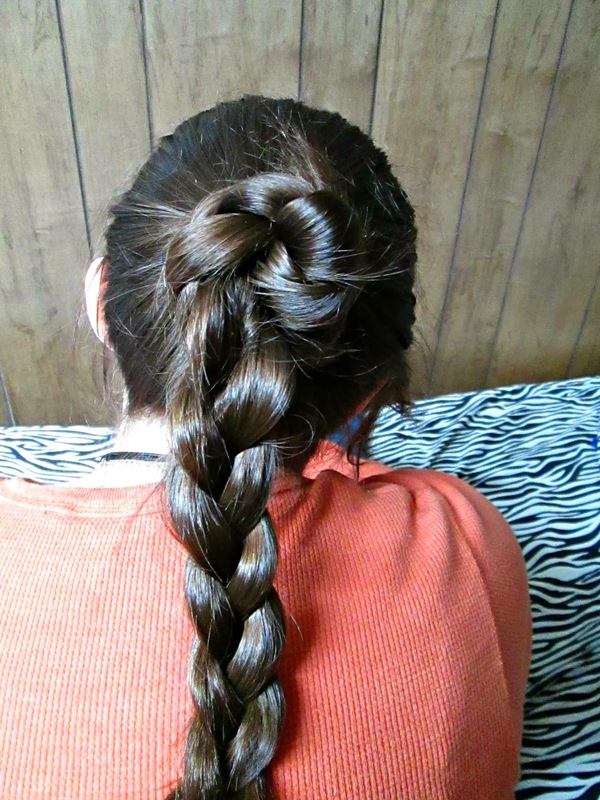 Step 3: Braid a regular 3 strand braid on both sections of hair. 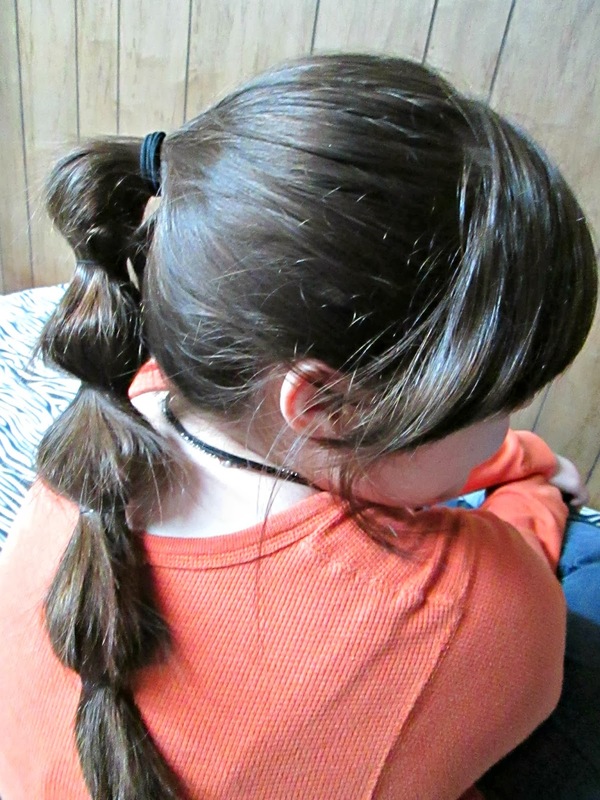 Tie the ends with elastics. 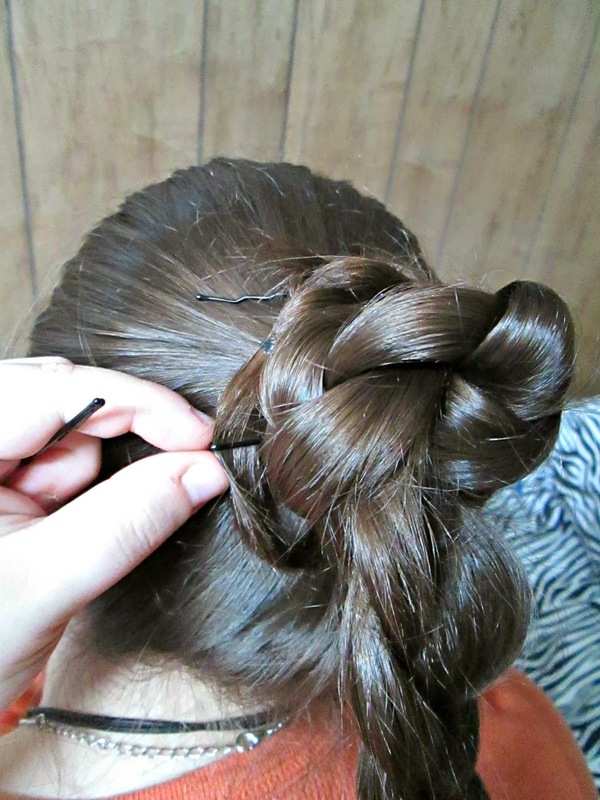 Step 4: Wrap one of the braids around the base of the ponytail and pin it securely to your head. 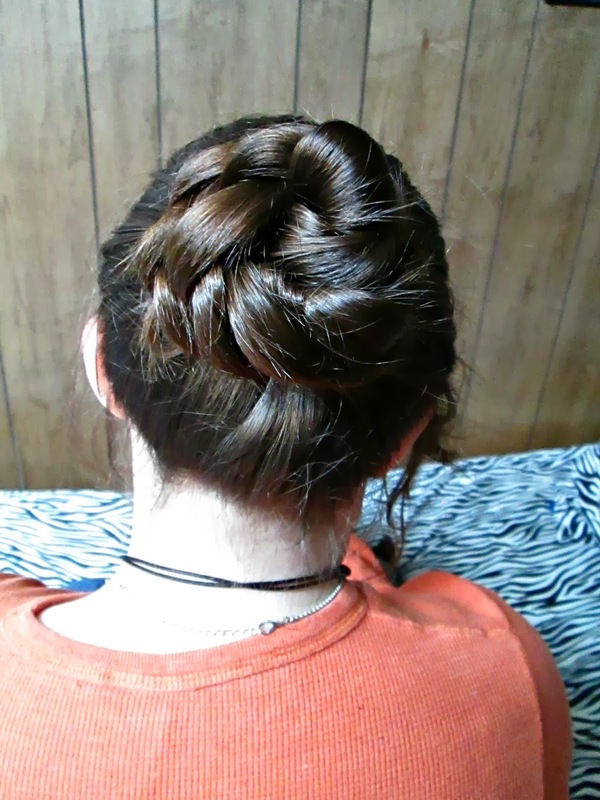 Try to hide the bobby pins the best you can. 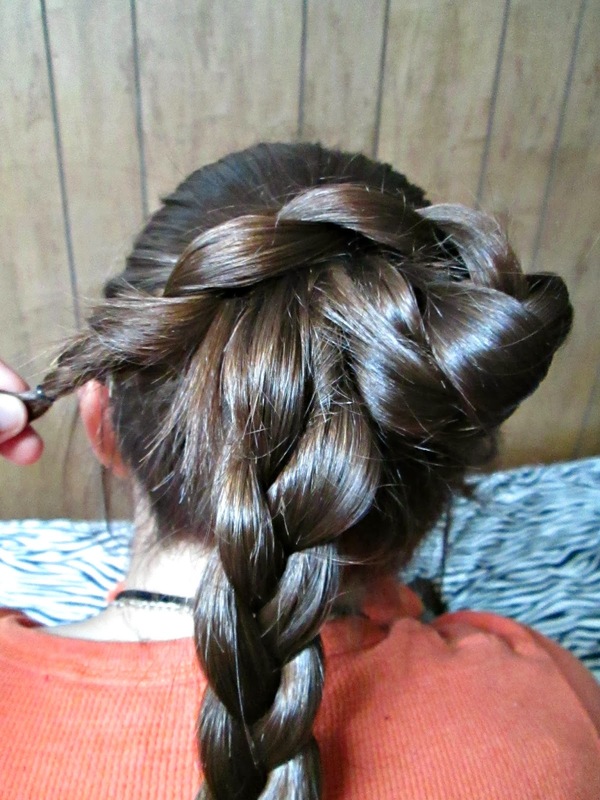 Step 5: Wrap the other braid around the base as well and secure it with bobby pins. Again, try the best you can to keep them hidden. 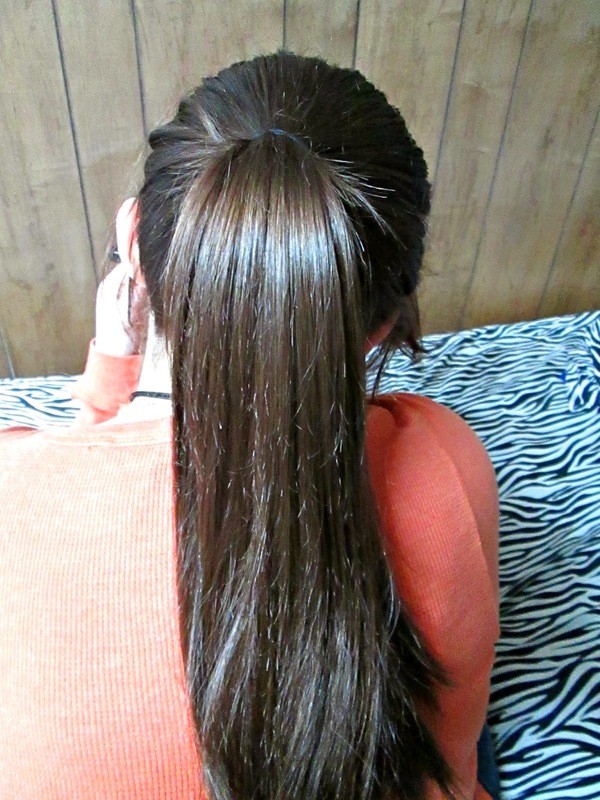 Spray some hairspray to lock in your style. 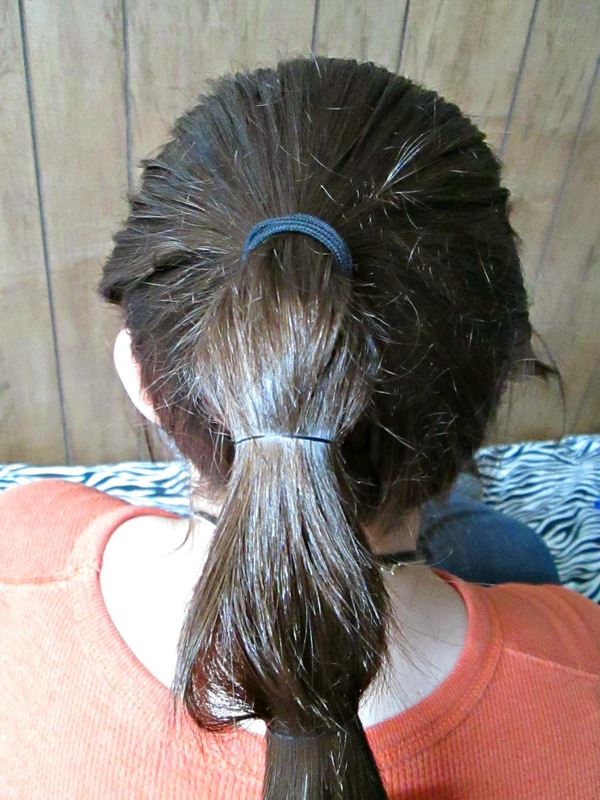 Step 1: Brush your hair and put your hair up in a ponytail. 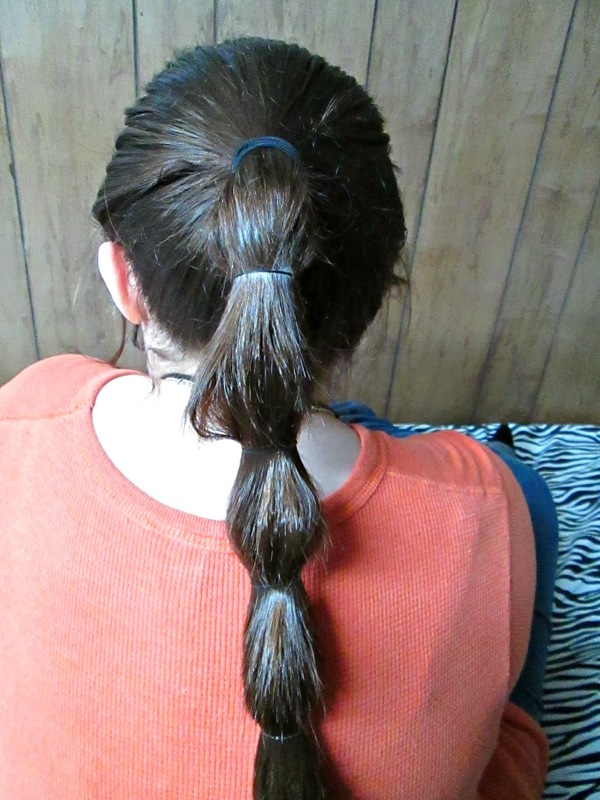 Step 2: Take your elastics and wrap it around your hair every 3 or so inches all the way to the end of the hair. 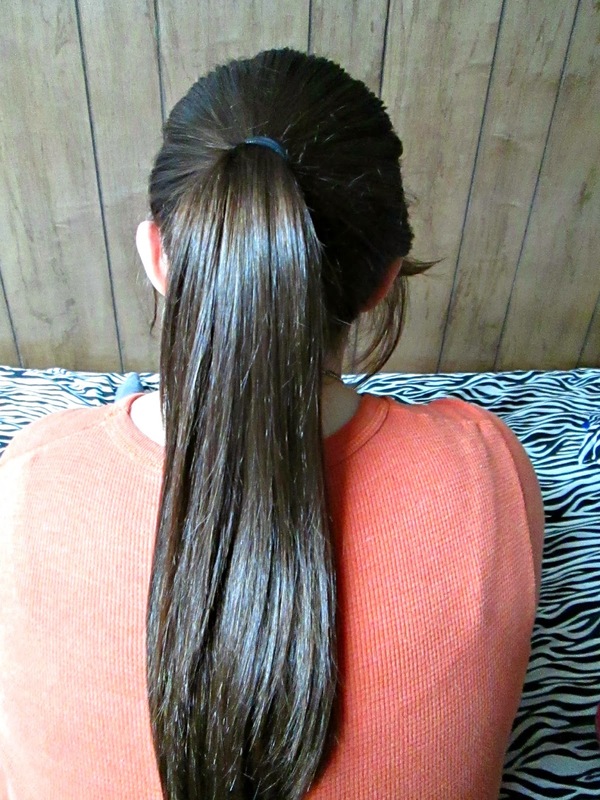 This is what it should look like all the way down the ponytail. 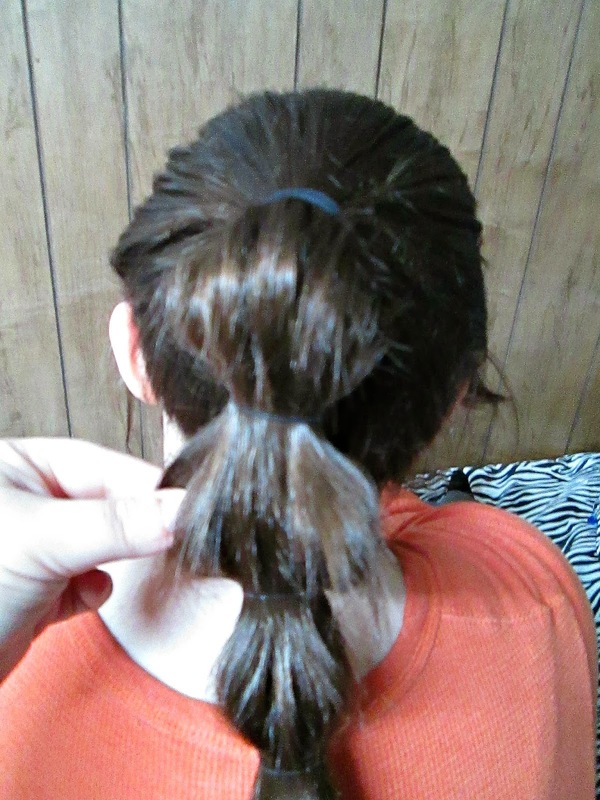 Step 3: Pull the hair between the elastics gently to create a "bubble" effect. You can pull it as much or as little as you want. You can make it really thick and full, or more on the sleek and proper side. 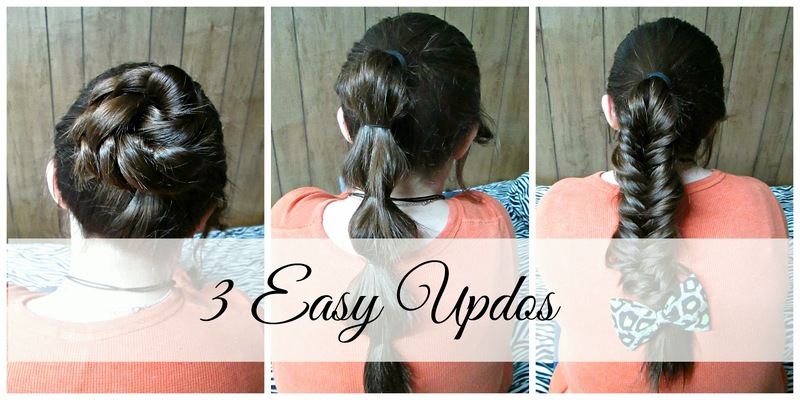 Now, you can hairspray that gorge pony, and call it a day! 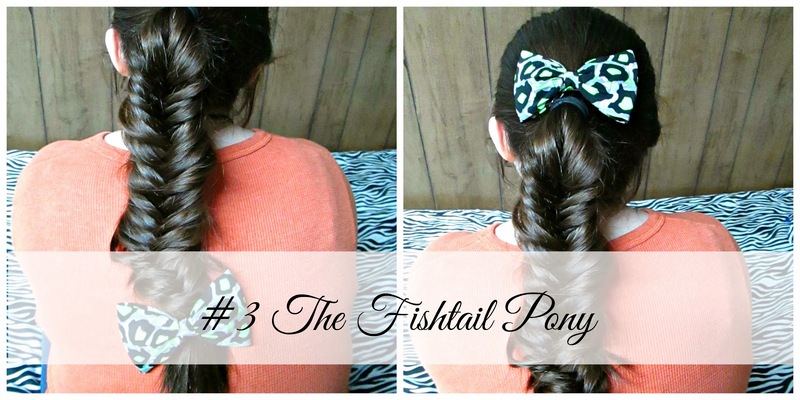 Step 1: Brush hair and pull it into a ponytail. 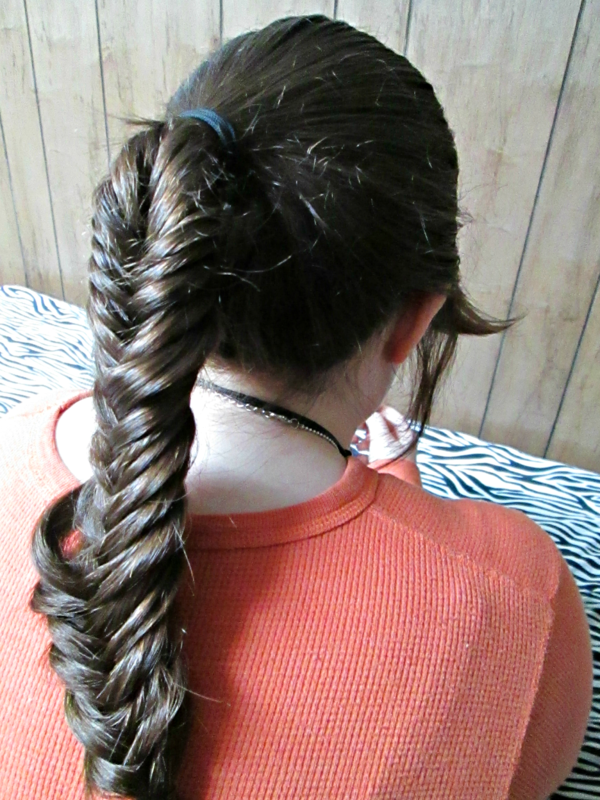 Step 2: Fishtail your hair all the way down the hair shaft. 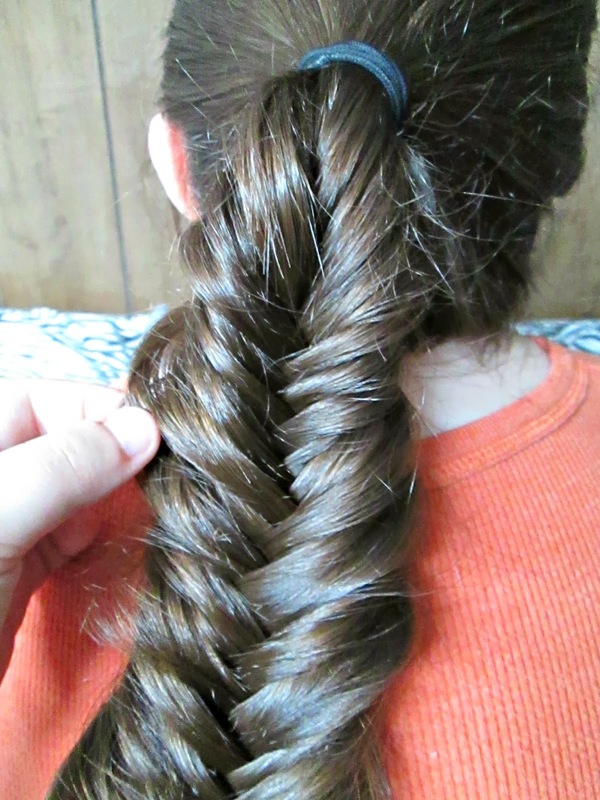 If you don't know how to do a fishtail braid, you can CLICK HERE to my tutorial. 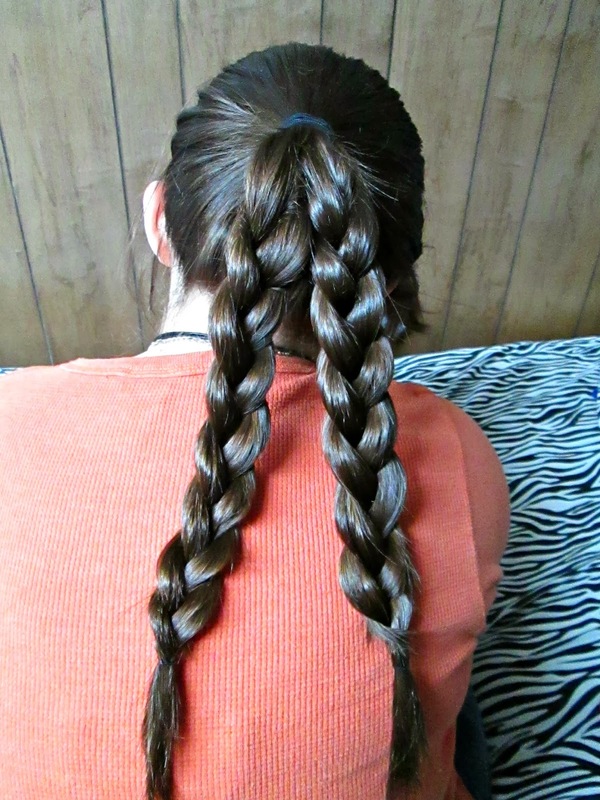 Step 3: Pull the braid gently. 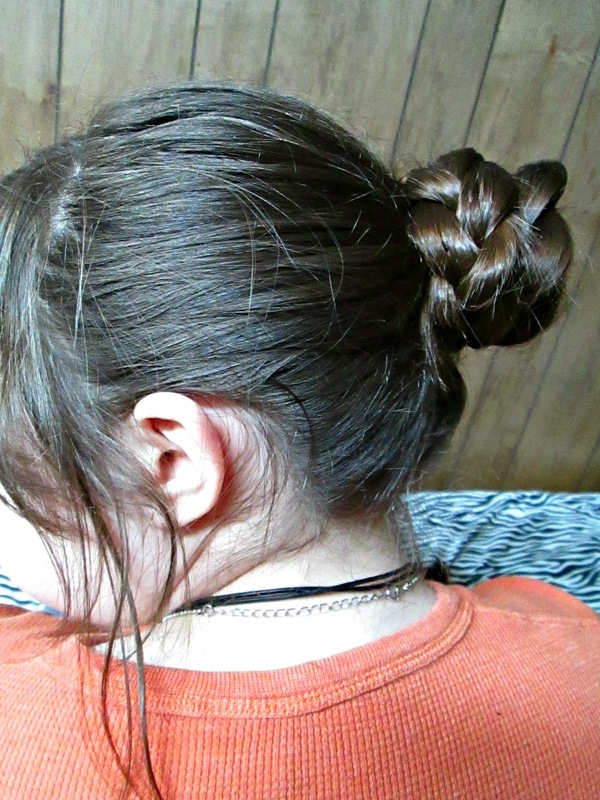 This will make the hair thicker and more casual and "messy." You may hairspray your hair to lock in the style. That's right girl, you're done! 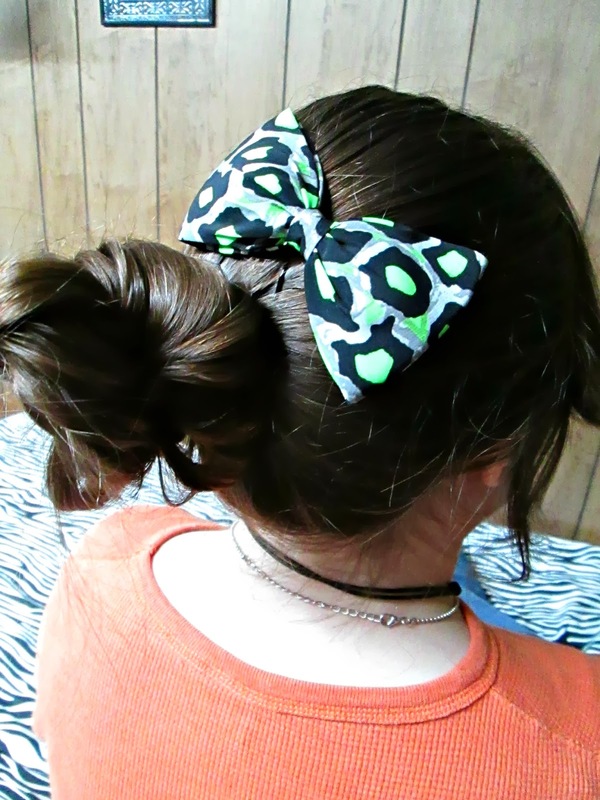 You are now free to accessorize it with something cute like a bow that I used here. 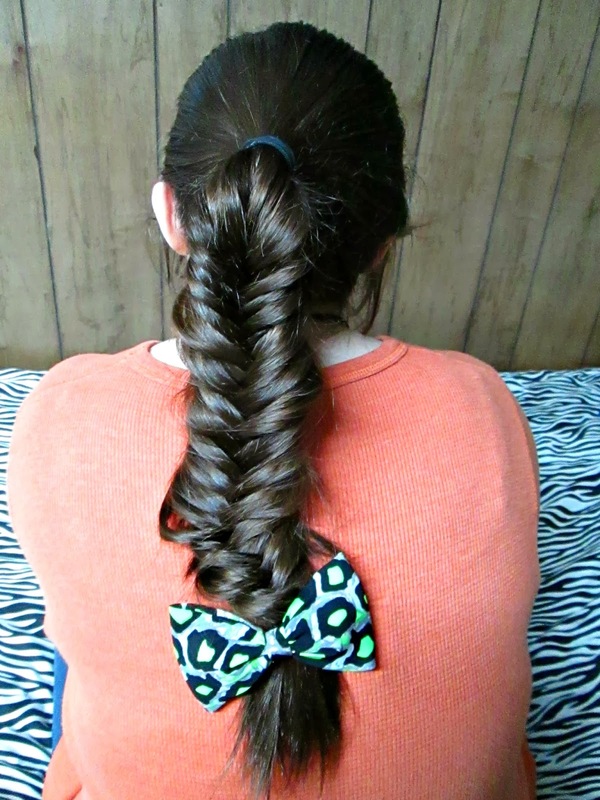 All I did here, was wrap the fishtail braid that we just created around the base of the ponytail and pinned it with bobby pins. 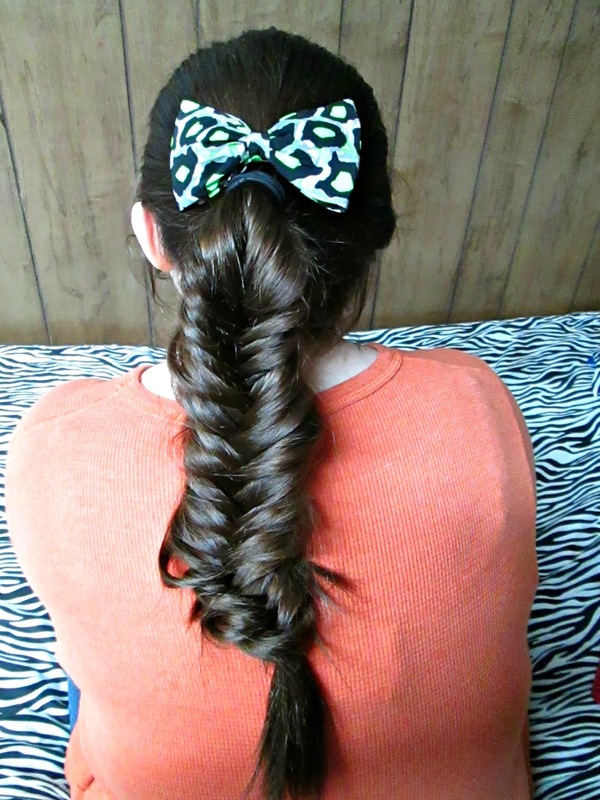 I stuck the bow at the top toward the side of the head. Super cute! 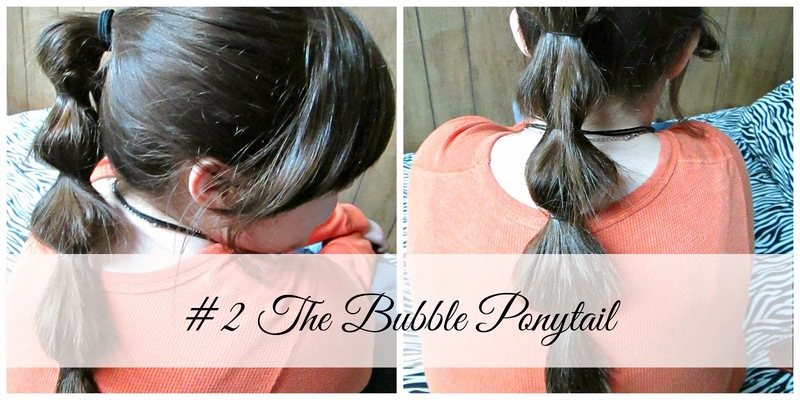 I like the Bubble ponytail alot. =^.^= It's also REALLY quick and easy.